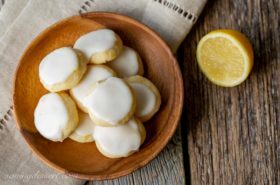 I love the idea of making a cookie recipe that’s been around for hundreds of years. 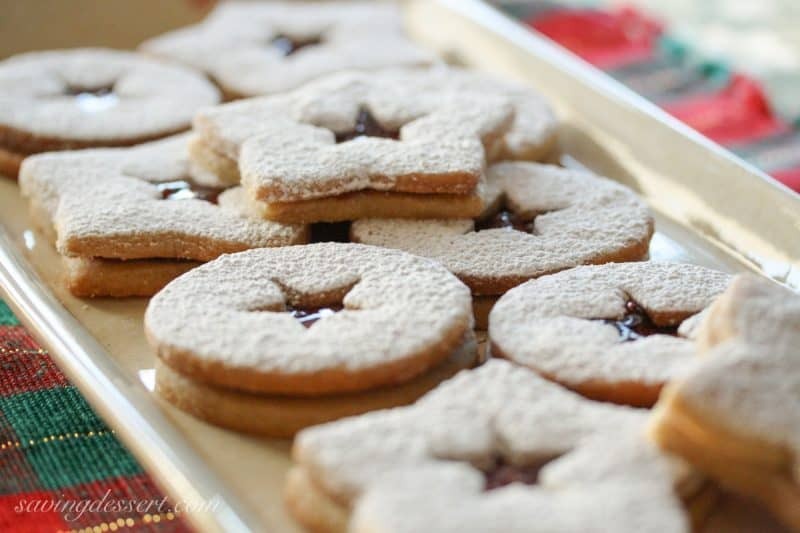 According to what I’ve read, Linzer Cookies were based on the “Linzertorte one of the oldest known tarts with a recipe discovered in an Austrian abbey around 1653.” This recipe can be made with almond flour, hazelnut flour or pecan meal and the filling can be anything from raspberry jam, apricot jam, or even chocolate praline. Roll the dough on a floured piece of waxed paper. Cut half the cookies with with a design in the center and the other half plain. Once cool spread jam on the solid cookies. 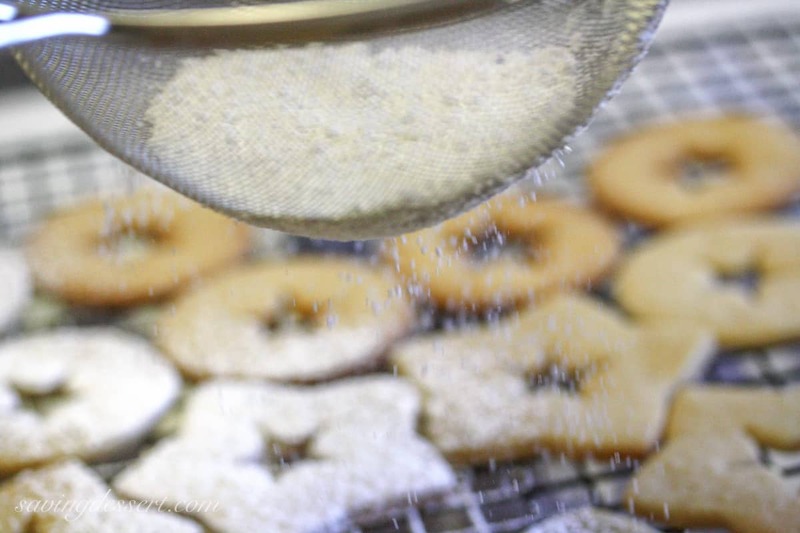 Lightly dust the cookies with the cut out centers with confectioners’ sugar. “Lightly” is a relative term and I didn’t pay much attention to it. I think my light dusting of snow turned into a blizzard. OK I do have a few snow drifts as I was carried away with the sugar dusting. You don’t need this much but it didn’t affect the taste – they were still delicious! When I make these again some day I will make a thinner cookie, use more jam for the filling (I accidentally picked up preserves) and LIGHTLY dust the cut out tops with confectioners’ sugar. These cookies were even better after they had a chance to sit overnight. The slight hint of cinnamon and the sweetness of the jam/preserves was wonderful! 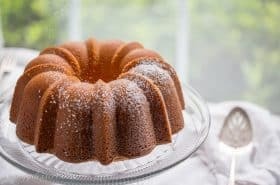 In a large mixing bowl, beat the butter, sugars, baking powder, salt, cinnamon and vanilla until blended. 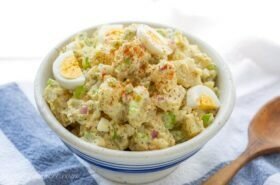 Mix in the almond flour, flour and egg. Mix just until all ingredients are incorporated. Divide the dough in half and wrap in plastic wrap. 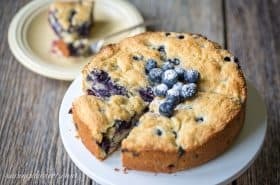 Refrigerate at least 1 hour or overnight. To bake, preheat oven to 375F. Roll the dough on a lightly floured piece of wax paper to 1/8" thick. 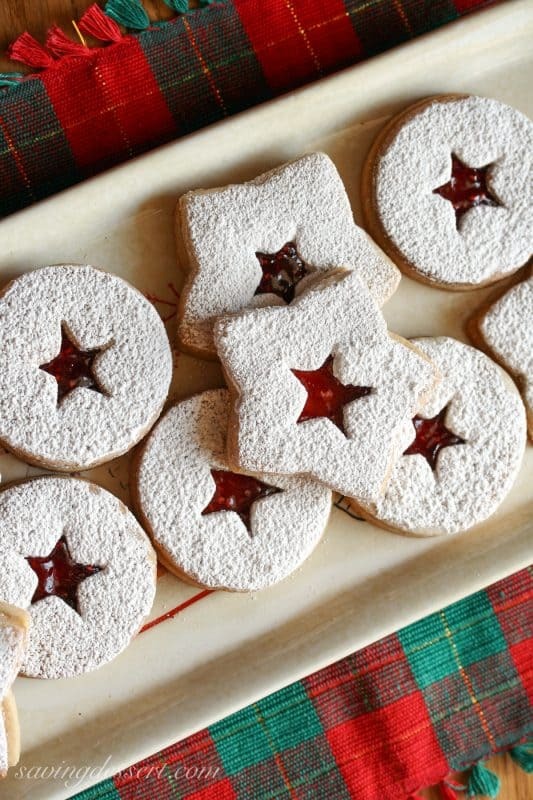 Cut the dough into shapes with linzer cookie cutters. 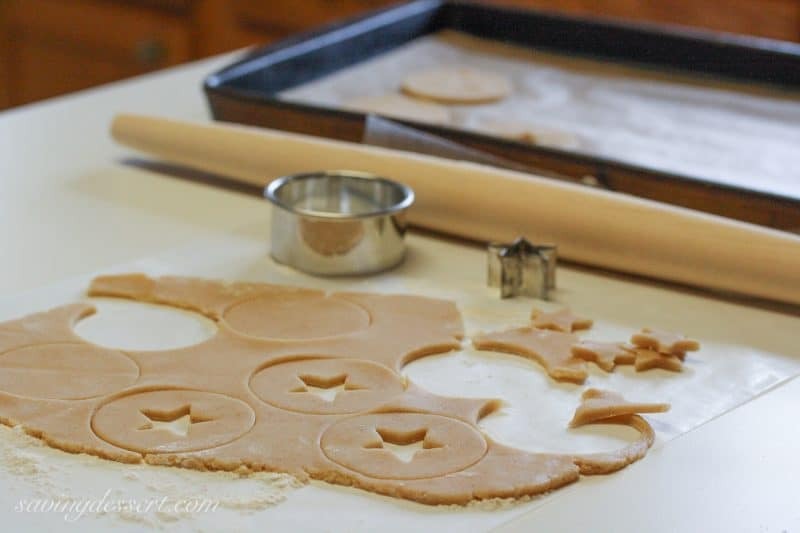 Use a small cutter to cut a design out of the center of half the cookies. 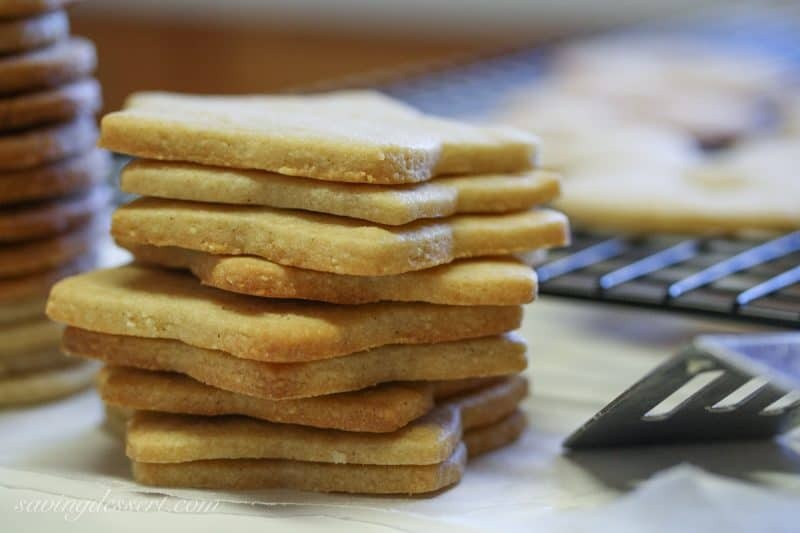 Bake the cookies on a parchment lined baking sheet for 8-10 minutes, or until lightly browned around the edges. 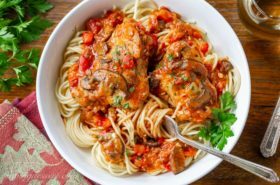 Cook completely on a wire rack. 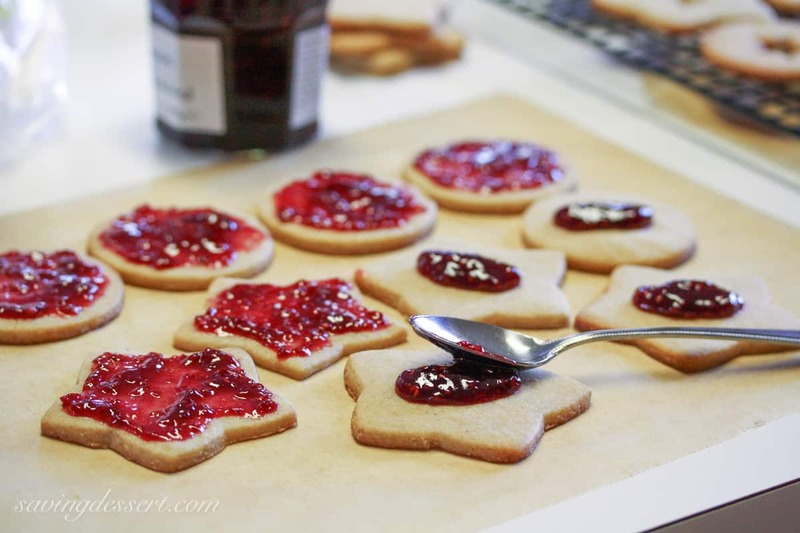 Spread the solid cookies with jam. Lightly sift powdered sugar on the cookies with the cutout centers. Place the cutout cookie on top of each filled cookie. Refrigerate until served to set the jam. I just made these and they turned out beautifully!! Thank you for the recipe! So pretty Tricia! 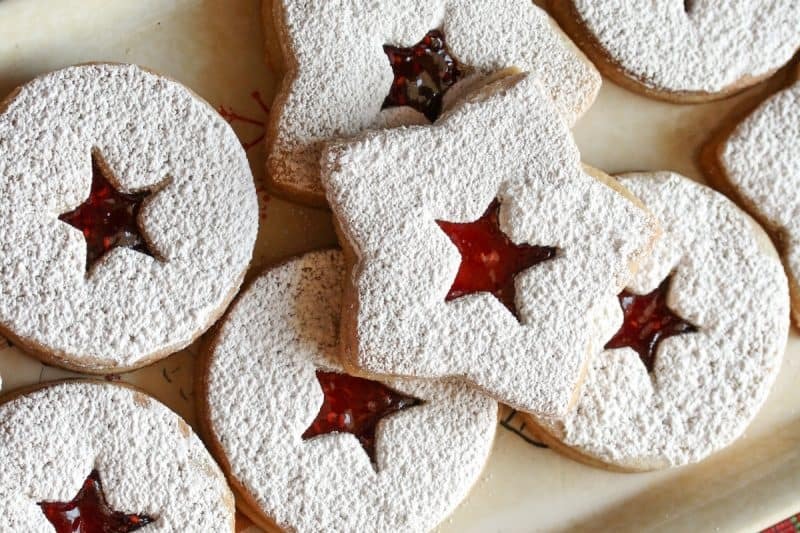 I love Linzer cookies – they always make me feel like I'm someplace in the Alps, someplace very beautiful and romantic like Salzburg or Innsbruck! I love all the photos, so beautiful! And your little Isaac is absolutely precious! The baby is so sweet! I am terrible at night shooting. Need to learn more.<br />These linzer cookies look fabulous! Hi Maureen<br /><br />I tried to offer some thoughts on shooting Christmas lights. https://www.savingdessert.com/2012/12/photographing-christmas-lights.html#comment-form <br /><br />Good luck! Feel free to drop me a note if you have any questions and PLEASE share some of your boat photos! Tricia!!! You read my mind! 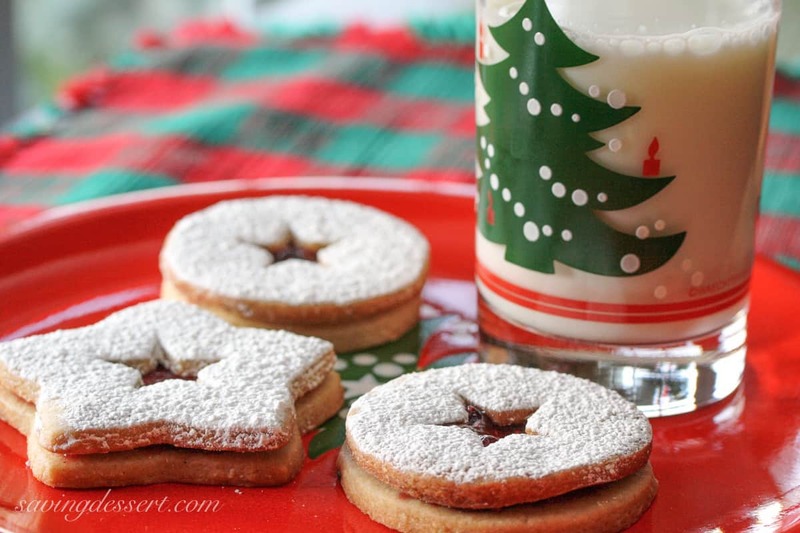 I have linzer cookies on my list of treats I wanted to research this year!! They are just beautiful and I have not had one in years. I've never made those, but I always thought they were gorgeous!